Bobster Piston Goggles Smoked Reflective Lens | BUDK.com - Knives & Swords At The Lowest Prices! Ultimate accuracy is provided with this aerodynamic goggle that provides comfort and flair while functioning flawlessly. Awesome product! 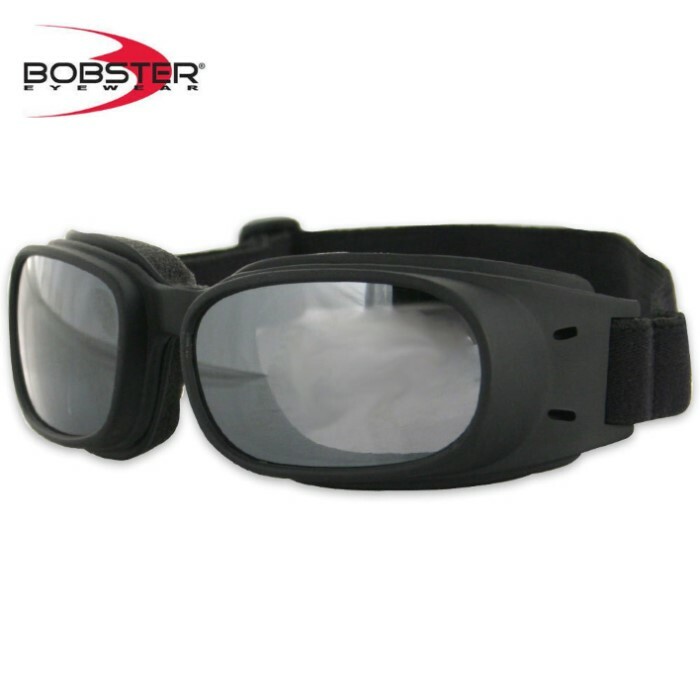 The cushion around the eyes are very comfortable and they block out sunlight really well. The price is worth it especially since I had free shipping included. I love the reflective lenses, nobody can see my eyes and people tell me they look really cool. Great Goggles! A little thick around the bezel, but for the price they are well worth it!